Compensation Method is used to increase the performance of the simple carburettor. In engineering practice, there is always a difference between theory and practice. To increase the performance of any device we have to take some additional steps. In this post, I will share information on compensation method so it will help you to increase the performance of carburettor. When engines are run for automobile purpose, a simple carburettor can’t supply the correct air-fuel mixture for all conditions of speeds and loads at which engine required to run. To correct mixture strength according to demand of engine, some compensation method is used in the carburettor. These methods will provide additional fuel or reduce the fuel. 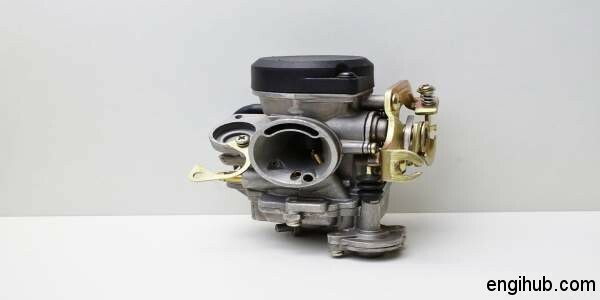 A throttle valve is opened more and more, an extra air valve, which is mounted on a carburettor, opens against the force of a spring and supplies extra air to the mixture. Thus throughout the economy range, the strength of mixture kept reasonably constant. A jet tube, which has an opening at its periphery, is provided with a carburettor in this type of compensation. A restricted air bleed opening connects main air passage to the outer enclosure of the jet tube. At starting time and at a slow speed of an engine, there is small pressure due to the effect of viscosity and surface tension of the fuel. Hence the more quantity fuel flows into the venture gives a rich mixture when throttle valve opens more at high speed. The effect of viscosity considerably diminishes and there is a higher pressure drop in the venture due to which more fuel is to be drawn and sprayed by the nozzle. At this stage the air bubbles start bleeding through the jet tube opening, making a lean mixture. This method consists of the main jet and compensating jet. The main jet is directly connected to the float chamber while compensating jet is connected to the float chamber through a tube, which top end is open to atmosphere. Both the jet supply fuel in the venture when the throttle valve is slightly opened. As the throttle valve is gradually opened the fuel supply from the main jet increases but that from compensating jet decreases due to falling level of fuel in the tube, as atmospheric pressure acts on the tube. Some air is drawn in, through this tube, thus the richness of the mixture decreases. This method is also called as “Unrestricted air bleed compensation”. The flow of fuel is restricted by changing the area of the metering nozzle supplying the fuel from the float chamber to the main jet. The area is changed by means of a needle operated with linkage from the accelerator pedal. Day by day, technology is changing and modifications are done frequently. Hence it increases the proper functioning of the device. Thereby increasing the overall results of the automobile engines.